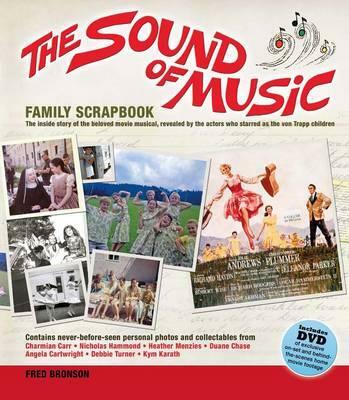 I was recently approached by the lovely folk at Carlton Books who wanted to make me aware of one of their latest publications, The Sound of Music Family Scrapbook by Fred Bronson. They kindly asked if I wouldn’t mind reviewing it for them. Of course, as a massive musical theatre fan and reviewer, this was immediately right ‘up my street’ and I jumped at the chance to provide my opinion on such a book. 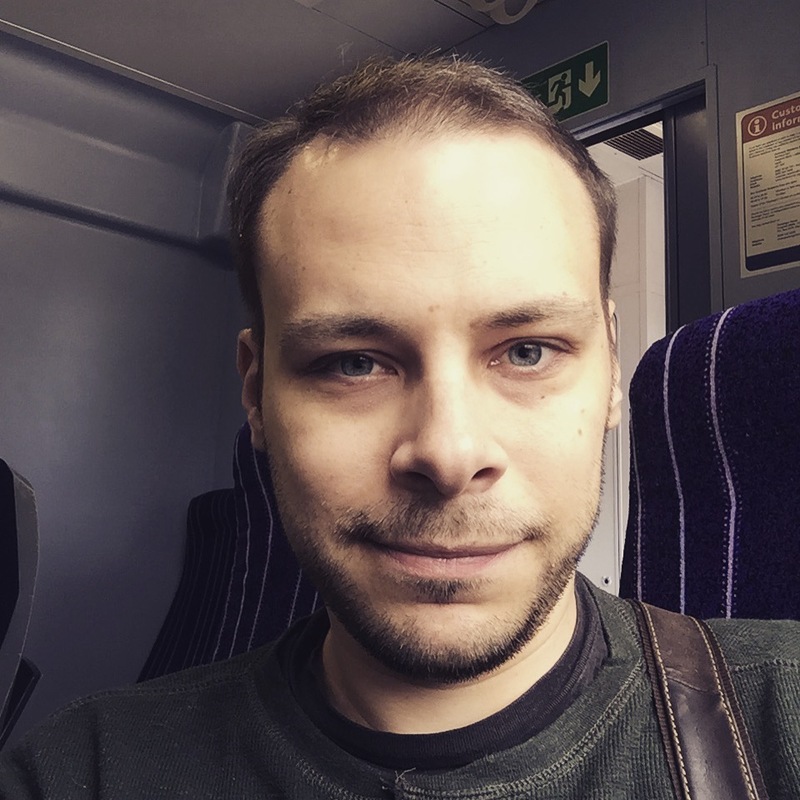 Please be assured that all views in this review are entirely my own, and have been in no way directed or suggested otherwise – there’s no agenda to it other than to share my thoughts. From the moment the book arrived, I have to say that I was thoroughly excited – it’s so big, vibrant and pretty! Definitely eye-catching! Despite its size, the dimensions are very ergonomic and pleasant to hold, and the padded feel to the covers really makes for a comfortable read, compared with other hardbacks that I’ve read that were of this size. From the moment Julie Andrews appears on the hills outside Salzburg to the final daring escape from the Nazis, “The Sound of Music” is embedded in the DNA of a generation. But what was it like to be part of all this? For seven children and young adults, the summer of 1964 was a magical one, spent in Salzburg, Austria with their parents or guardians, the film’s stars and director, and last – but not least – each other. 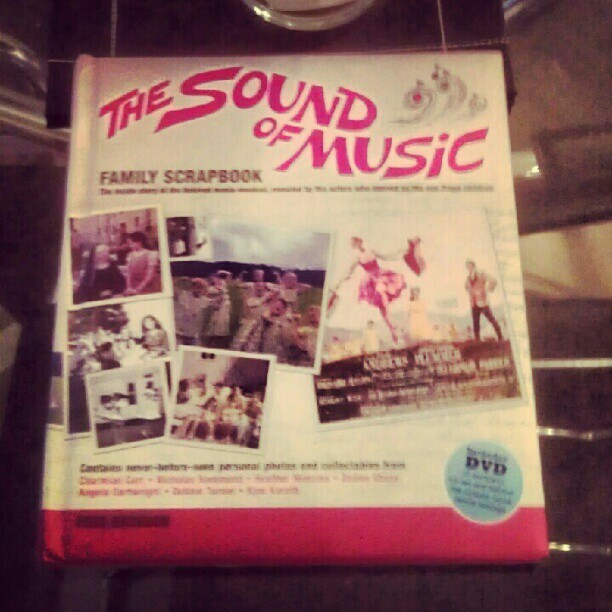 “The Sound of Music Family Scrapbook” tells their story, both during the filming and once the movie was released. It features a DVD of their own home-movie footage, and memorabilia they have cherished and preserved over the years, including letters home to their families in America, a page from the script with edits marked in the margin, and a ticket to the world premiere. If you ever dreamed of marching round the fountains singing “Do Re Mi”, or dressing in a playsuit made from drapes, you will love this enchanting story of how seven boys and girls became a family – and how they have kept that closeness for over 45 years. The quality of the information in this book is second to none! I own several musical theatre related books, with my interest being as it is, and I have to say, this one definitely raises the bar – a real game changer. Within its pages and additional content is a massive wealth of information which I doubt exists elsewhere in such concentrated form, making this an invaluable, and comprehensive, source for anyone even remotely interested in the shooting of the film. All this is before I even mention that there are removable mementos / inserts that are built-in to the book, showing never-before-seen copies of a hand-marked page from an actual shooting script, a copy of a schedule, a ticket to the world premiere, and handwritten notes, etc. It’s remarkable to see them and they’ve been very tastefully added to the book. The word ‘wow’ crossed my lips several times. It stays incredibly authentic to the feel of a ‘scrapbook’. In a world of DVD extras, it is great to see that a book has triumphed here and provided something better than any ‘second disc’ in the box ever could. Speaking of the medium of DVD, the book also contains a DVD showing ‘home movie’ footage shot on location in Salzburg whilst filming was occurring – it’s marvellous! The book is put together with the point of view of the actors playing the kids from the ‘Von Trapp’ family, making it a great ’rounded’ experience, as it’s the shared experience of seven different individuals, and not just one person’s thoughts. The book also documents what happened after the film finished at the cinema, and how life has been for the seven ever since, which is just as fascinating! The love that clearly exists between the cast is very evident throughout, and it makes for a fantastically warm and genuine feeling ‘scrapbook’ – definitely a labour of love on their part! A true keep-sake if ever there was one, and there is something to make you squeal with surprise and delight with every page turn. Also of note, the ever fabulous Sing-a-long-a have a Sing-A-Long-A-Sound-of-Music launch night for this book at the Prince Charles Cinema (Leicester Square, London) on Friday 21 September at 19:30. Please click here for more information and to book tickets. Well worth a look in, especially if this book review has piqued your interest, as Heather Menzies (who played Louisa), and Nicholas Hammond (Frederick) in the original film will be in attendance, and signing copies of The Sound of Music Family Scrapbook. 1,149,783 visitors to my site in total - thank you! !